I’m having a baby. Not in the traditional way that I’ve done in the past. There is to be (hopefully) be no weight gain with this pregnancy, no migraines, no maternity clothes. This pregnancy is peppered with hour long phone calls to the Board of Medicine for an obscure letter, mountains of paper work and nights spent wondering…how long will this take? 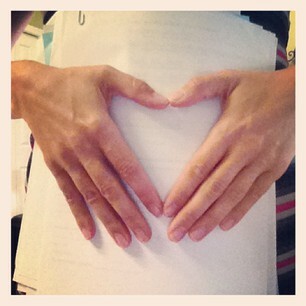 It’s a different kind of pregnancy, but the end result is the same – a child, a daughter, waiting for us. She was ordained for us from the beginning of time. Yesterday we met with our home study agent. I sent my husband and children off to church without me and I spent the morning scouring the house from top to bottom. I cleaned window sills and baseboards. I mopped floors (even the laundry room!) and cleaned tubs. I swept and vaccuumed and placed cinnamon brooms strategically throughout the house. Because a house that smells of cinnamon is clearly owned by a family fit to adopt. I overdid it. I knew that as I prepared, but still it felt good to clean. It felt good to know that I was doing this for her – the little girl who is as much a Stuart as the rest of our children. It felt good to pour my energy into the process knowing that it was one more step forward. A collage of all my pretties. One of the most stressful parts of this journey was choosing the agency that would walk us through the process. I can say with certainty that we chose the right agency and I am so thankful for all their help. I send them roughly 57 emails a week and I get a response to every email almost immediately. I’m like that pregnant Mom who calls her OB every time she sits down to a meal to ask if the Cobb salad is good for her or if the steak needs to be well done and is it true blue cheese will make my baby grow a third ear on the back of his head? That’s me – the crazy adoptive Mama. In addition to our agency, I kind of fell in love with our home study agent yesterday…despite the fact that she didn’t bring her white gloves and run them along my sparkling baseboards and window sills. I briefly considered asking if she would like to eat her chocolate chip cookies off the freshly scrubbed floors, but thought better of it in the end. I love how calm she is, how well she knows this process, how forthcoming she was with the information she felt we needed to gather. I’m just so thankful for how this is all coming together. We’ve set up a specific page here on the blog to keep up with all that’s happening with the adoption. Do you see it? It’s right up top in the middle of the navigation bar and it says, oddly enough, Adoption. Because I am fraught with creativity. There’s nothing on the page, yet, but it’s coming. We’ve got some things rolling around and coming together for fundraisers and I’m so excited to share them with you! Hopefully in the next week. For now, I have a question for those of you who have been through this process, or perhaps know someone who’s been through the process. I need suggestions of good books we should read on adoption and the challenges and benefits of raising an adopted child. I don’t want horror stories! I want information. I want to be prepared. I don’t want to be freaked out. Now, I am off to pick kids up from school and headed home to eat lunch. Off the floor. Because danggit, the floor is clean AND my house smells like cinnamon AND I can see out the windows because I cleaned them. Oh, Kelli!!!! I am so excited for you! I will be praying as you take this journey! My husband and I talked about adoption again yesterday, but we’re just not ready to take the net step. I’ll be happy to follow you as you bravely walk this journey of adoption! I can’t wait to read more! This is a wonderful post! It is funny and vulnerable and hopeful. I am praying for the whole adoption process that God will bless you as you seek to care for one of his lovely ones. Check out Pepper’s blog tomorrow on my site. It is going to deal with Pepper’s adoption of a wonderful little girl. You will relate to this post, I’m sure. I will check it out. Thanks Kathy! Thank you, Kristin. I will check that book out. I’ll totally find books from my friend still in the adoption social worker world, but your agency and social worker should be a great source. Back in my day we had about 2-3 books of required reading. So excited for you. 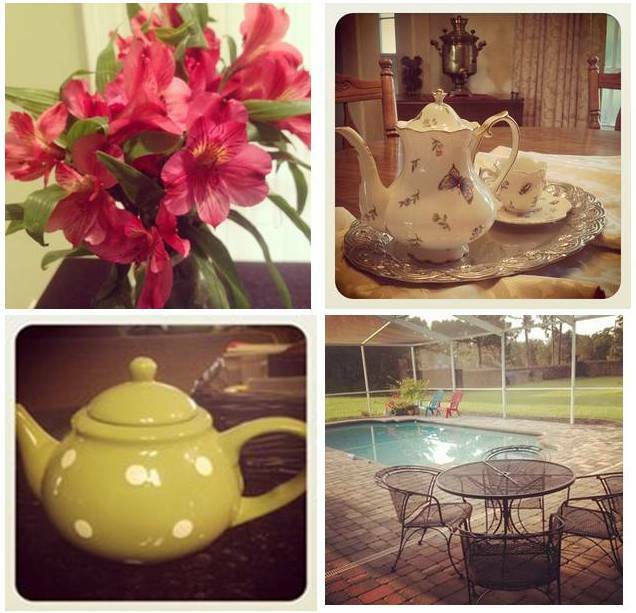 I used to make fun of my clients who set out flowers and teapots! This has absolutely nothing to do with adoption. But I have to share….got a cinnamon broom because when we came home Friday night I decided I really did NOT like the new carpet smell. Then we (read: Kevin) did some touch-up painting and the combination of wet paint smell and cinnamon broom was um, well, hard to describe. I think maybe I got an idea of that cheese you told me about on the St. Louis style pizza. So thankful to hear that the “visit” went well!! I prayed for you all that it would. I wish I had great advice or resources, but our gift to you is that we will continue to pray! Love u all, A.B. & U.J. Thankyou, Aunt Brenda. We’re so grateful for everyone’s love and prayers and support.